It’s time for the yearly Pledge Drive, which, although rooted over at the motherblog, Funky16Corners, benefits all the satellites in the Funky16Corners empire, Iron Leg being the most prominent. I do have something planned for Iron Leg, but preparations over at Funky16Corners, coupled with an insanely busy week (and weekend) have pushed that back until at least Tuesday. Bear with me, and if you dig what I do here (or there, or in both locations) and you can afford it in these trying economic times, toss a couple of bucks in the hat (by heading over to Funky16Corners and clicking the donate buttons) so that I can keep on doing what it is I do. And, if you dig funk and soul, make sure to fall by Funky16Corners for no less than eight new mixes in celebration of the opening of our new feature, the Funky16Corners Soul Club. PS Head over to Funky16Corners for the opening ceremonies of the Funky16Corners Soul Club!!. This has been a weird week, running the gamut from chilly, fogbound mornings to blazingly hot afternoons, i.e. a typical New Jersey spring, during which almost any kind of conditions can be expected. I wouldn’t be all that shocked to look out the window and see fluffy snowflakes drifting toward the ground. The tune I bring you today is a light, breezy, sunshiney bit of pop with just the finest bit of psychedelic filigree pasted around the edges. 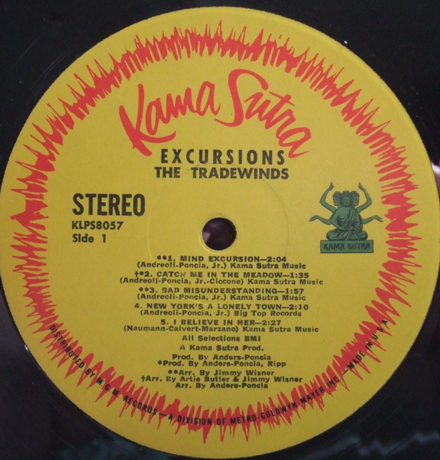 I only heard ‘Mind Excursion’ by the Tradewinds in the last year, but loved it from the very first. It took a little while before I realized that this was the same group that recorded ‘New York’s a Lonely Town’, the New Yorkiest Brian Wilson cop of all time, recorded for Leiber and Stoller’s Red Bird label. 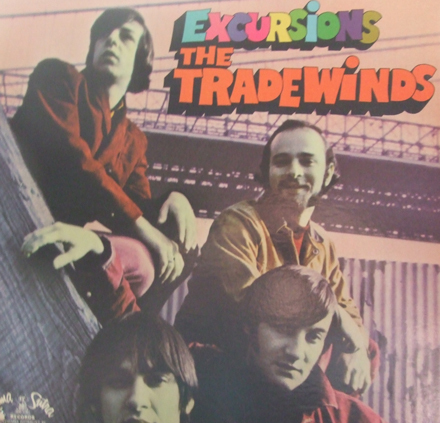 ‘Mind Excursion’ grazed the outside of the Top 40 in the fall of 1966. A pure pop confection, the song is only tangentially psychedelic (most via the lyrics) sounding like a cross between the Lovin’ Spoonful and the Cowsills. The arrangement by Jimmy Wisner (who worked on so many great Philly records) manages to use harp and glockenspiel as the perfect complement to the sweet melody without ever going over the top. The song is ‘light’, but in a perfectly balanced way. The lyrics, namechecking ‘Keds’ and ‘injuns’ (?!?) are naïve but not stupid, paving the way for a lot of what would later be known as ‘sunshine pop’. Oddly enough ‘Mind Excursion’ – like Gary Lewis and the Playboys equally innocuous ‘Green Grass’ – was banned by overly cautious programmers in some markets. In retrospect this seems insane, but the airwave were a much more sensitive place in 1966. I hope you dig the tune as much as I do, and I’ll be back on Monday. Things are pretty good in mine (so far). The tune’s I bring you today are the result of one of those decade-long reappraisals, in which the addition of a certain amount of maturity allowed me to shed my youthful prejudices and truly appreciate something very cool. 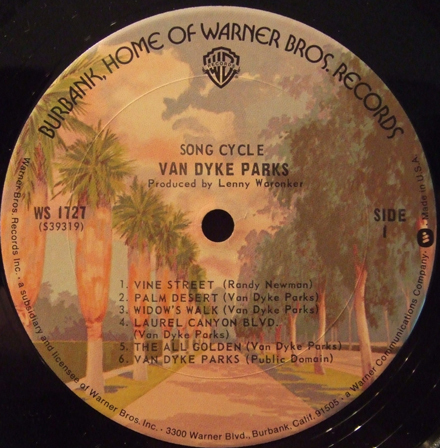 I first heard Van Dyke Parks’ ‘Song Cycle’ album back in the 80s. I borrowed (or had it taped for me, I can’t quite recall) it mainly because it was one of those records that seemed firmly wedged in the outer reaches of the 1960s zeitgeist, lauded by many, lip service applied to its classic status by most, who also attested to the genius of its creator. 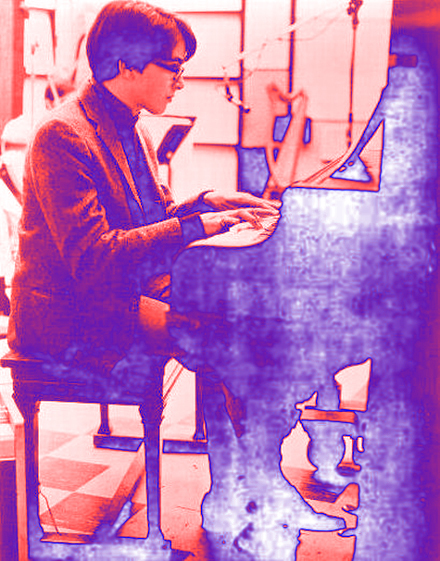 I mainly knew of Parks via his associations with a number of Los Angeles artists with whom he worked, or was friendly, first and foremost being Brian Wilson, with whom he tried to create the aborted ‘Smile’ LP. As you might have already guessed, I sat down to listen to ‘Song Cycle’ and my immature, unseasoned brain reacted poorly to it, unable to get a handle on exactly what was going on. 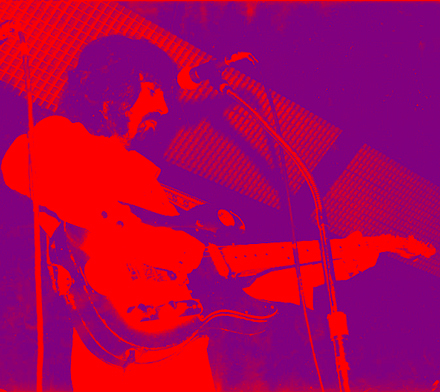 The record was neither purely poppy – in the mid 60s Sunset Strip manner – nor was it traditionally psychedelic. That I didn’t ‘get’ it doesn’t really tell the whole tale. My reaction was less quizzical than repulsed, but it is important to mention that at the time I first heard this record, I was pickling my grey matter in a brine composed largely of snotty garage punk. So, circa 1986, ‘Song Cycle’ gets shelved (or placed in the circular file) and I push Van Dyke Parks right back to the periphery and leave him there for a good long time. Flash forward twenty-odd years and things are no longer as they once were, my brain newly inflated with all kinds of sounds that I didn’t used to understand, so much so that I was verily starving for more of the same. Those years since I first heard ‘Song Cycle’ were packed solid with jazz, avant garde, sunshine pop, classical music, country and pretty much anything else, up to and including a rapprochement with the music of the aforementioned Brian Wilson and his garcons sur le plage, whom I had never really taken seriously (much to my own detriment). Part of this new understanding was a bit of serious reading about Wilson, during which I learned a lot more about Van Dyke Parks, so much so that I was compelled to seek out ‘Song Cycle’ and take it out for another test ride. Once again, as you probably already figured out, the sounds on that particular album found purchase on the rocky shores of my brain in a way that they couldn’t (and didn’t) two decades previous, and my mind was good and truly blown. ‘Song Cycle’ is – however difficult for the uninitiated – is a true work of genius. An odd, eclectic genius, but genius nonetheless. In a time where most of his contemporaries were getting high and far out, Parks was at work in his lab, blending ragtime, Tin Pan Alley pop, show tunes, modern classical music like Copland and Ives, country and folk into a remarkable, truly original mixture. It’s important to remember that at the time every so-called ‘genius’ was throwing all kinds of odd sounds at the wall to see what would stick, but very few placed the disparate parts side by side, with enough knowledge and insight to see where the interlocking parts lined up. Parks did that, and then some. ‘Song Cycle’ was an early concept album, tapping into a lost (or fading) Americana, traveling deep into types of music that others merely dabbled with. Sadly, though ‘Song Cycle’ is the work of a singular, highly developed mind, Parks’ sensibility was unique and far beyond the understanding of the pop audience. It’s like the books of James Joyce, consistently difficult, but ultimately rewarding to those that take the time to plumb their depths. What seems on the surface to be a tangle of oddly assembled bric-a-brac is, after the proper consideration revealed to be a window onto an entirely new approach to seeing things. This is not to say that ‘Song Cycle’ is not pleasing to the ear, which it is, but rather that it comes at the listener from so many different places, at first listen it seems like some kind of musical slide show. It is psychedelic, but in a way that opens and expands the mind – via the ears – in ways outside of the standard operating procedure, and one must be immersed, and allowed to soak in its wonders before all is revealed. The medley I bring you today ‘Vine Street’ and ‘Palm Desert’ are the opening tracks of ‘Song Cycle’. ‘Vine Street’ was composed by Randy Newman – no slouch himself in the Americana department – with ‘Palm Desert’ penned by Parks himself. The ‘song’ actually opens with a snippet of tape with Parks playing bluegrass with an early group of his, morphing into ‘Vine Street’ with a sound like stepping through a time machine into an earlier version of the same scene. Park’s thin, high voice narrates the song as if it were the first page of a novel, letting you know what you’re hearing, then fleshing out the story with string filled wonder that seems to quote Scott Joplin and Beethoven at the same time (with a little Charles Ives thrown into the mix as well). It really is suite-like, with even the smallest bits of connective tissue endowed with mystery. There’s a twenty second transition that starts around 1:42 that might as well be the musical illustration of the scene in the ‘Wizard of Oz, where Dorothy regains consciousness and first steps out the door into Munchkinland. It sounds like the narrators eyes, and general perception are adjusting and bringing a new scene into focus. Parks then switches gears into ‘Palm Desert’, one of the finest (in every sense of the word) little musical vignettes you’re ever likely to hear. It is both an ode to the old story of the magical, silver screen Hollywood, and another part of the narrative where you feel you’re with Parks, driving into, and marveling at the sights and sounds of the city, though if you dip into the poetic lyrics, there seems to be the tiniest bit of Nathaniel West-esque tarnish and venom peeking in around the edges of the gilded snapshot. It really is a remarkable beginning to an equally impressive album, that draws you in to the point where you might find yourself attempting to give it closer and closer listens, so that all of its facets are revealed. If you haven’t heard the album, grab yourself a copy. If you don’t like what you hear, file it away and come back to it later. You never know what time might do to your ears. 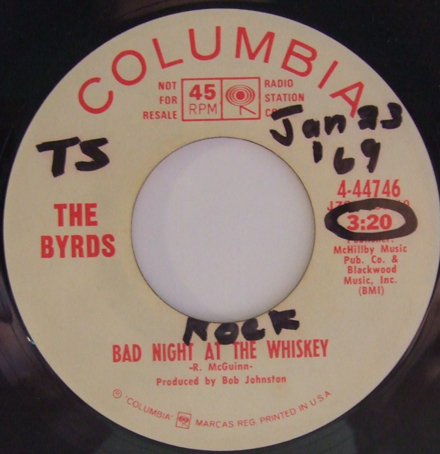 The tune I bring you today is something I dug up at the last Allentown All-45 show. The last trip to the storied maelstrom of 7-inch vinyl was a rewarding one, the spoils of which were at least as Iron Leggy as the were Funky16Cornered (i.e. lots of great pop and rock alongside the funk and soul). While I was there I managed to stop by a number of favorite dealers, some who I hit up for big ticket items, and others who just seem to always bring boxes of good cheap(er) stuff as well. One of these guys always manages to have a little of both, i.e. a few small boxes of heavy stuff (garage, psyche and soul) and several crates of unsorted, less expensive but always interesting stock that I love digging through whenever our paths cross. This time was no exception, and I left his table with a nice fat stack of pop, rock and psyche stuff, some of which has already appeared in this very space. Today’s selection was part of that stack. 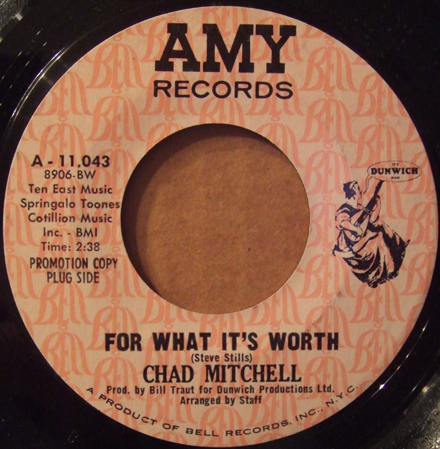 I’m always on the lookout for interesting cover material, and when I flipped past the familiar name (Chad Mitchell) doing an interesting cover (the Buffalo Springfield’s ‘For What It’s Worth’) I pulled it out and tossed it on the keeper pile. 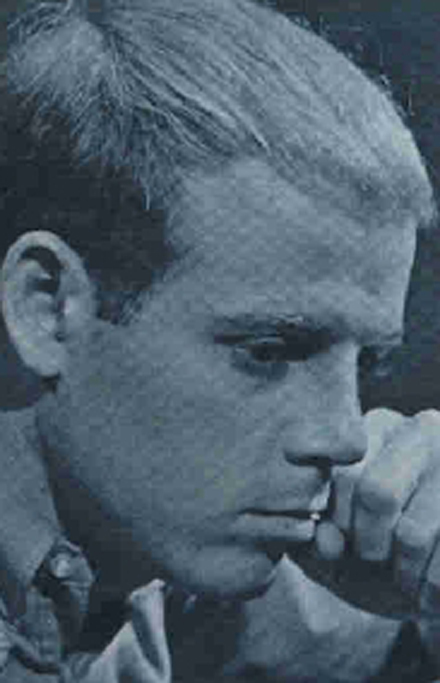 Mitchell is best known for his years leading the popular commercial folk act the Chad Mitchell Trio. He left the group in 1965, after which he was replaced by a young up and comer named John Denver. The group continued on for a few years (as the Mitchell Trio), and Mitchell went on to a somewhat less successful solo career. He headed west and recorded with a heavy group of LA sessioners. The results were the single you’re going to hear today (from 1968) and a full album a year later. Mitchell’s version of the Springfield’s oft covered, biggest (only) hit would register as fairly run of the mill folk rock, were it not augmented by extra-heavy, era-appropriate fuzz guitar courtesy of Al Casey and Jerry McGee. If the power chords during the chorus weren’t jarring enough, wait until the years ahead of their time twin lead guitars pop up! I haven’t been able to track down a copy of the 1969 LP, which features some interesting cover material (Tim Buckley, Joni Mitchell, HP Lovecraft (?!? ), but I’ll definitely keep my eyes peeled. I hope you dig this track, and I’ll be back next week with something cool. PS Head over to Funky16Corners for a soulful reggae 45. PS Head over to Funky16Corners for a game changing soul 45 by Wayne Cochran. Then, as is often the case, chance stepped in and while I was pulling records for my Funky16Corners radio show, I came across a stack of 45s, several of which needed to be photographed for Iron Leg, and adjusted the schedule accordingly. The record in question is ‘You’ve Got Me Hummin’ by the Hassles. If the song is familiar, that’s probably because it was originally recorded by the legendary Sam and Dave. If the group name rings a bell, it’s because this record represents the very first recorded evidence of the musical talent of a minor recording artist of the 70s, 80s, 90s and the new century, a certain Billy Joel. That’s right kiddies…the heretofore unthinkable has happened, that being the intersection of Iron Leg and the Piano Man. This isn’t to say that I haven’t listened to and appreciated the music of Billy Joel, because I’d be lying if I said I hadn’t. While I wouldn’t describe myself as a big fan, his music was a huge part of the zeitgeist of my youth, and despite having created a handful of songs I NEVER need to hear again (including all of his “list” songs, like ‘We Didn’t Start the Fire’ and its ilk), he is undeniably talented and a man with a knack for crafting memorable melodies. By the time Billy Joel joined the Hassles in 1966, he had already played in a number of Long Island bands. He was a replacement keyboardist/vocalist for the band, and while I have no idea what they sounded like before he came aboard, one can only imagine him kicking the talent quotient up a notch or two. Already a popular local act, the Hassles signed to United Artists and recorded their first album in 1967. ‘You’ve Got Me Hummin’ grazed the national Top 100 in the Fall of that year, making a much more substantial impression on local New York radio. The Hassles version of the tune featuring co-lead vocals and organ by Joel is a pretty nice version of the tune, adding in light touches of psychedelic lead guitar to the whiteboy soul vibe. I’ve seen the Hassles compared to the Rascals, but I’d say that’s more likely due to the accident of geographic proximity, with their sound drawing much more from the garagey side of things. If you get the chance, line this one up between the Sam and Dave original (which, naturally cannot be fucked with on any level, especially the Isaac Hayes piano line) and the cover from a few years later by Lydia Pense and Cold Blood, which makes for an interesting comparison, as well as a testament to the quality (and flexibility) of the Hayes/Porter composition. It’s important to consider the depth and breadth of white acts covering contemporary soul material, looking at acts that approached these songs from a more reverent angle (i.e. those, like the Rascals that were trying to be soulful) and those, like the Hassles and Vanilla Fudge (a band that spent a lot of time reworking soul songs) who were rock bands grappling with soulful material and taking it down new avenues. The results may not have been transcendent, but I’m not inclined to hold them to a higher standard either. ‘You’ve Got Me Hummin’ may have started out as a ‘soul’ song, but at the end of the day, it was still a great song and open to all kinds of interpretation. I hope you dig the tune, and I’ll see you all on Monday. PS Head over to Funky16Corners for both sides of a Pennsylvania funk 45. That said, I set out to pick a selection for today and discovered once again that I had forgotten to photograph the record, so I dipped back into the reserves and grabbed something else. Today’s selections are by the same group, which would seem obvious until you listen to them and realize that they were clearly the work of two divergent stylists. That they happened to be in the same band, and both went on to a significantly higher level of fame and fortune is where we get started. I first heard/heard of the Humblebums maybe 20 years ago when I happened upon one of their tracks on a compilation of UK folk rock and discovered that among their ranks were Billy Connolly (the world famous comedian who has since become a fave of mine) and Gerry Rafferty (he of the 70s AM gold). That first tune didn’t make much of an impression, but I was always intrigued by the concept of a band that included both of them. It wasn’t until last year, as I was digging down in Washington, DC that I actually happened upon one of their albums. When I had the chance to give it a listen I was pleased to discover that it wasn’t a mass of comedic novelties, but rather a satisfying intersection of Connolly’s wry, folkie vibe and Rafferty’s pure pop. Rafferty was not an original member of the group, joining after their first LP. The roots of his later hits are clearly visible in ‘All the Best People Do It’, with his pleasing voice, Beatle-y hooks and arrangements. I really dig the electric piano on this track. Connolly’s track, ‘My Apartment’ reveals that he was a pretty good singer, shedding much of his thick brogue for an American accented style, no doubt honed playing country and folk in Scottish bars. The rest of the album is similarly divided stylistically, which goes a long way to explaining why the band broke up by 1971, with Rafferty moving on to Stealer’s Wheel and Connolly to a hugely successful career as a stand-up and actor. I hope you dig the tracks, and I’ll be back later in the week with something cool. PS Head over to Funky16Corners for the original version of a big UK R&Beat classic.